The Fortnite in-game message of the day has unveiled a new Assault Rifle coming soon to Battle Royale. While many Fortnite fans were busy anticipating and preparing for the game’s Cube to collapse in an unprecedented event, Epic Games was teasing another addition to the game’s battle royale mode. 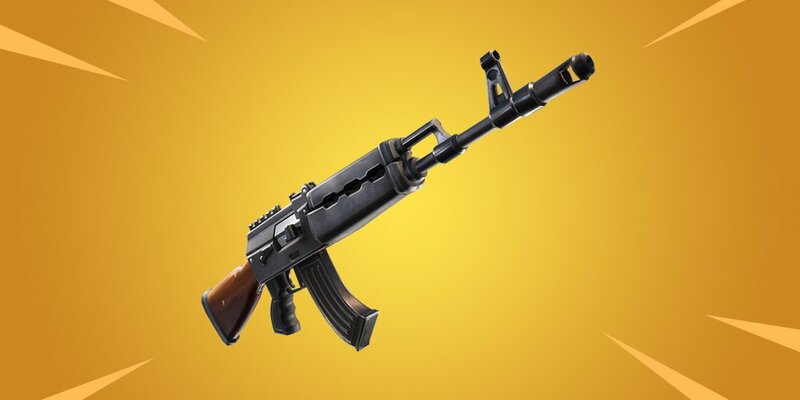 Spotted on Friday, Fortnite’s in-game message revealed the Heavy AR, described as a “powerful assault rifle that is useful when fired in short bursts.” As you can see, the weapon is modelled after the AK weapons platform, more commonly seen in the AKM and AK-47 real-world weapons. Being featured in the game’s update feed typically means the weapon will be added in the following week’s patch, which means we should see it go live this week. It’s not yet clear if it’s going to be replacing a different weapon, however. The weapon background in the image also could be an indication of its rarity, Legendary in this case. That doesn’t necessarily preclude Epic variants, though. While you wait for the weapon to make its way to Fortnite, check out this guide on how to unlock the Lil’ Kev Backbling, and see this page for a round-up of all week 6 challenges.